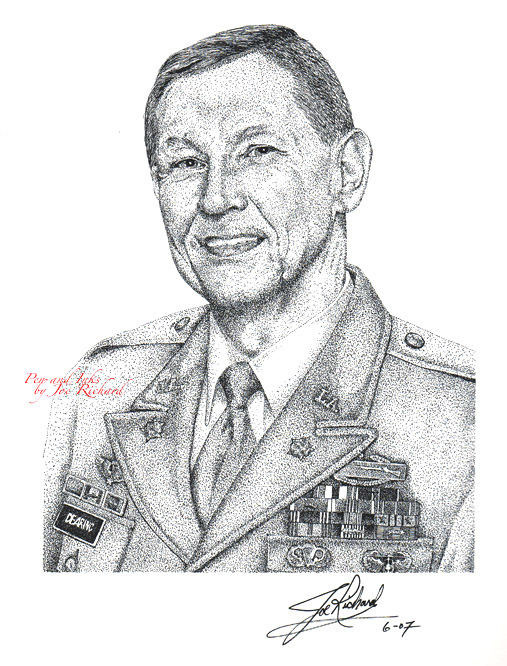 "Colonel Dearing" was commissioned as a part of a series of pen and ink drawings. This pen and ink is a rendering of the third of a series of drawings. The rendering was completed using a photo supplied by the client. 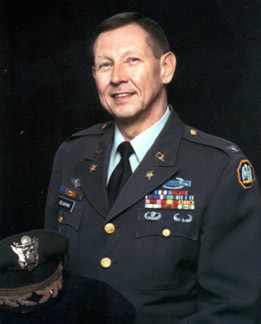 Extensive use of stippling effects combined with some line art was used to create a dramatic finished portrait of "Colonel Dearing". this artwork. This photo was supplied by the client.